No image of eternal life is more powerful or persistent than the tree of life. From the paradisiacal Garden of Eden to the apocalyptic New Jerusalem, the tree of life dominates the landscape, being mentioned explicitly more than two dozen times in the Latter-day Saint scriptural canon and alluded to many other times therein. From the temple to the cross, the symbol of the tree of life invites all to come unto Christ, to become planted by rivers of living water, and to bring forth and enjoy the fruits of God's love that are sweet above all else. 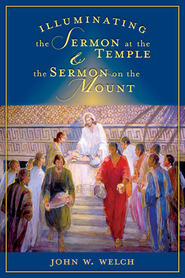 This highly informative and beautifully illustrated book contains original essays by leading Latter-day Saint scholars and scholars of other faiths—including Donald W. Parry, Daniel C. Peterson, Andrew C. Skinner, John W. Welch, and Margaret Barker—that focus on the tree of life symbol in the Bible, early Christianity, and the Book of Mormon, as well as in Southeast Asian, Islamic, and Maya temples, cultures, and art. John W. Welch is the Robert K. Thomas Professor of Law at the J. Reuben Clark Law School, Brigham Young University, where he teaches various courses, including Perspectives on Jewish, Greek, and Roman Law in the New Testament. 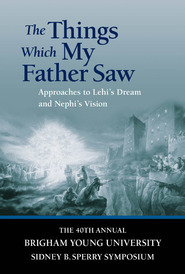 Since 1991 he has also served as the editor in chief of BYU Studies. He studied history and classical languages at Brigham Young University, Greek philosophy at Oxford, and law at Duke University. 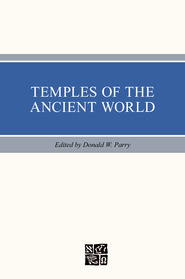 As a founder of the Foundation for Ancient Research and Mormon Studies, one of the editors for Macmillan's Encyclopedia of Mormonism, and codirector of the Masada and Dead Sea Scrolls exhibition at BYU, he has published widely on biblical, early Christian, and Latter-day Saint topics.